Frieghter will show off its AutoHold model at the Brisbane Truck Show. 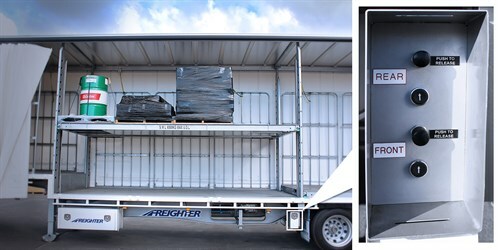 Trailer manufacturer Freighter has announced it will be showing off its AutoHold model at the upcoming Brisbane Truck Show in May. Originally unveiled in June last year, AutoHold offers drivers the ability to automatically fasten and unfasten their trailer curtains, removing the need to buckle and unbuckle each load manually. 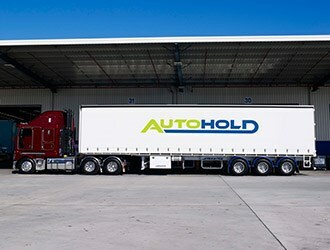 Aiming to save drivers 15 minutes per stop, Freighter says AutoHold is unique thanks to its sequential fastening system, which makes sure the curtains can be closed automatically in windy conditions. Highlighting the potential safety and productivity benefits of the new model, Freighter general manager Mario Colosimo says that a large proportion of the company’s focus has been on improving efficiency and safety in recent years. "As a result of one-touch unfastening on the front of the trailer, drivers can be clear of the curtains when they are released, removing the chance of loads which have shifted during travel falling on them," Colosimo says. "The removal of the need to manually fasten and unfasten buckles when loading and unloading also greatly reduces the chance of repetitive strain injury." 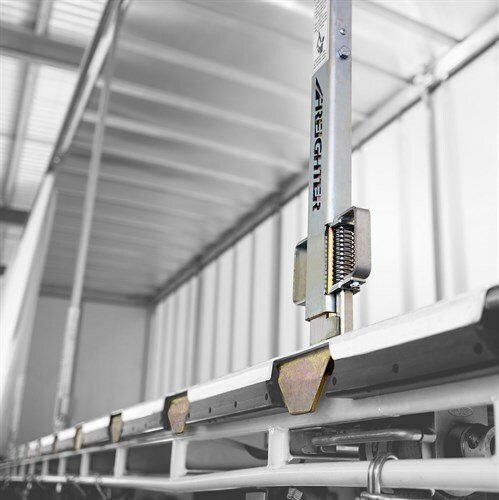 Certified to pass the National Transport Commission (NTC) load restraint guidelines for unitised loads of at least 1,250kg per pallet space on a straight deck trailer, AutoHold models include Freighter’s LoadHold curtains, reducing the need for conventional gates. Freighter’s AutoHold trailer offers an auto-fastening and unfastening load restraint TautLiner. "By not having to manually handle gates, drivers significantly reduce their Work Health and Safety risk," Colosimo says. Freighter’s Auto Mezz Decks solution, released in 2013, is also included in the AutoHold setup. Auto Mezz Decks allow loaders to raise and lower the deck height via a push button, minimising the need for forklifts. Freighter says higher restraint levels can be ordered for loads over 1,250kg per pallet. A Drop Deck Semi, with ramps, will be on display at the four-day show from May 14 at the Brisbane Convention and Exhibition Centre. Freighter’s Auto Mezz Decks will be included in its AutoHold model.